Ep #30: What Does It Look Like When You Double Your Business? What is different in your life when you have doubled your business? What is it costing you to not double your business? Find out how you can get what you want in a way that you haven't thought of. It's double your business for this season. What does it look like when you double your business? 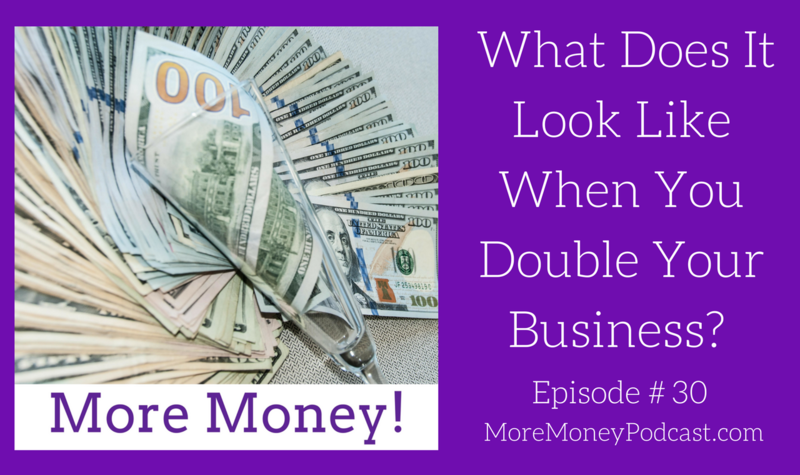 What does it look like when you double your business? If you love this season of the podcast, you may want to get my book, which is also called Double Your Business on Amazon. I created an awesome 4-part video course for you to get through the steps in doubling your business. Go get it at www.doubleyourbusinesswithcassie.com. Find out how you can get what you want in a way that you haven't thought of. This is going to open your mind to knowing that there are so many ways to do it that you haven't thought of. It'll be worth it. I promise you.